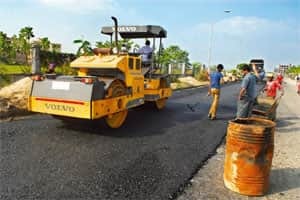 One of the largest toll road developers and operators in India, IRB Infrastructure Developers Ltd, announced last week that the National Highways Authority of India (NHAI) has cancelled the company’s Goa-Karnataka road project on account of NHAI’s inability to provide land for the implementation of the project. In keeping with that, some brokerages had revised their revenue and earnings estimates downwards for the next fiscal year. IRB intends to claim compensation, according to the termination payment provisions of the agreement. The company derives its revenue primarily from two sources—road construction and the build, operate and transfer (BOT) business (which includes toll revenue). For the first half of the year, the construction business had performed well, boosting IRB’s financial performance. While that’s good, analysts expect the second half of the year to be slow for the company’s construction business. A key reason for that is the fact that two big projects are almost completed. With the completion of the Surat-Dahisar and Kolhapur projects, IRB’s construction revenues grew 77.3% from a year earlier to ₹ 1,075.8 crore in the first half of the current fiscal, pointed out a note from ICICI Securities Ltd last month. The report further added that “In H2FY12, we model a 7.5% year-on-year decline in construction revenues to ₹ 936 crore as strong ramp-up is required in the under-construction projects (Talegaon, Jaipur and Amritsar projects—all three are 15-20% completed)." IRB is looking to end the current fiscal year with revenue of ₹ 3,000 crore and profit after tax of about ₹ 500 crore. The company’s robust order book of ₹ 9,635 crore as on September 2011 offers good revenue visibility going forward. Since the beginning of this fiscal, IRB stock has declined by 33% to ₹ 142. While the near-term outlook for infrastructure stocks continues to be weak, it would be good for road companies in general if the competitive intensity in road bids drops further.